Steven Anderson. Dr. Anderson is the Director of the Mathematics and Science Teaching Institute at the University of Northern Colorado. His research focuses on conceptual understanding in the geosciences. Eric M. D. Baer, geoscience educator and education researcher. Dr. Baer is a Geoscience Instructor at Highline Community College. He studies student learning of quantitative skills in the geosciences and how asynchronous web-based supports can be used to support diversely prepared students in introductory level geoscience classes. 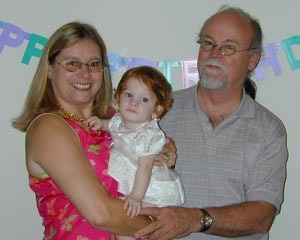 He and Dr. Jennifer Wenner have developed The Math You Need, When You Need It website. 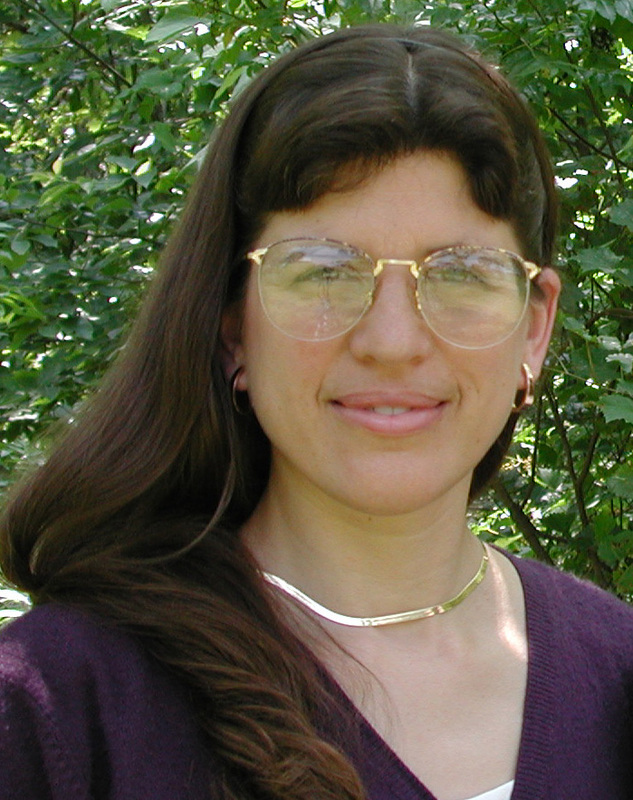 Bonnie J. Brunkhorst, (geo)science educator and researcher. Dr. Brunkhorst is a Professor of Geological Sciences and Professor of Science Education at California State University, San Bernardino. Her areas of expertise and research focus on national and state science education reform inclusive of Earth sciences in K-university equal with biology, chemistry and physics. Her work includes standards development and implementation, inquiry science teaching, undergraduate geology, science with technology, public understanding of science, and effective development of science teachers. She is a Fellow of AAAS, NSTA Distinguished Service and Carleton Award recipient, and honorary National Associate of the National Academies of Sciences. Pamela Burnley, geoscience education researcher. 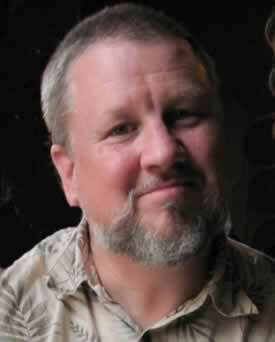 Dr. Burnley is a member of the Geoscience faculty at the University of Nevada, Las Vegas. 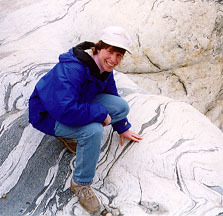 Her geoscience interests include high-pressure experimental rock deformation, mantle phase transformation, and computer modeling of these processes. Dr. Burnley is also interested in improving the effectiveness of teaching methods and promoting outreach strategies for the geosciences. Mark Chandler, research scientist and software engineer. Dr. Chandler is a Research Scientist at Columbia University & NASA/GISS. He leads a project called the Educational Global Climate Modeling Project (called "EdGCM", pronounced "Ed-G-C-M"). The project's overarching objective is to improve access to global climate models. To achieve this they have developed, and now distribute, a suite of software that makes it possible for students and teachers to run the NASA/GISS GCM Model II on standard desktop computers (Windows PCs and Macs). Students use a graphical user interface to setup and run the climate model and then, through the same GUI, they can analyze the climate variables that are the standard GCM output. EdGCM also includes scientific visualization software so students can manipulate and view the global climate variables. Chun-Yen Chang, geoscience education researcher. Dr. Chun-Yen Chang is the Director of Science Education Center, National Taiwan Normal University. His major research interests include earth science learning environment, problem-solving models as well as computer-assisted learning and instruction. Renee Clary. 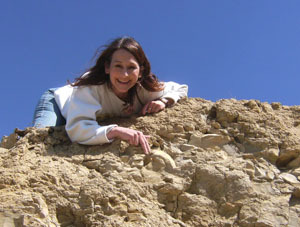 Dr. Clary is an Assistant Professor of Geology and Director of the Dunn-Seiler Museum at Mississippi State University. 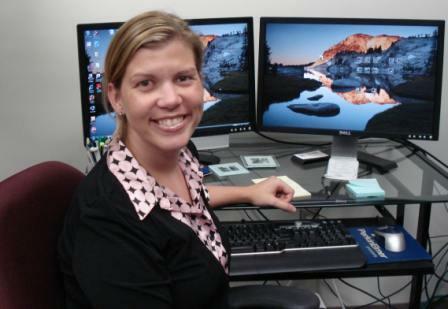 She researches interdisciplinary science integration in formal, online, and informal learning environments. Her research includes the incorporation of the history of science to improve science understanding, the improvement of knowledge integration through innovative visualization strategies, and the maximization of geoscience learning experiences in informal educational settings and at field sites. Karl Donert. Dr. Donert is a National Teaching Fellow at Liverpool Hope University. He coordinated the HERODOT Network for Geography in higher education and is President of EUROGEO (the European Association of Geographers). He is a member of the Council of Europe Education Group and former Hon. Vice President of the Geographical Association. Karl is researching three main areas: the development of international networks in Geography, spatial citizenship (the importance of geography for all in citizenship education), and the use of elearning in geographical education. Yehudit Judy Dori, assessment expert. Prof. Judy Dori is the Dean of Continuing Education and External Studies at Technion-Israel Institue of Technology. Her research interests are distance education, scientific visualizations, higher order thinking skills, and educational assessment at both high school and university levels. Her studies include development and implementation of teaching approaches and curricula, as well as assessment of their educational value. Her book on metacognition in science education, which she co-edited with Prof. Zohar, will be published by Springer in 2011. 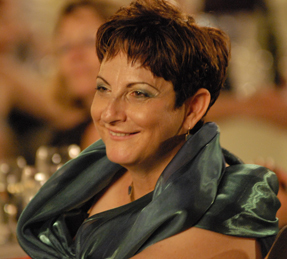 In 2010, Prof. Dori founded TIDES – Technion International Distance Education & Studies Center. TIDES is aimed at leveraging educational technologies and experience in combining pedagogy with technology to position the Technion. Danny Edelson, education technology researcher. In his position as vice president for education, Dr. Edelson oversees National Geographic's outreach to educators and its efforts to improve geographic and geoscience education in the United States and abroad. This work includes the creation of educational materials for learners of all ages, the delivery of professional development for educators, the implementation of public engagement programs, advocacy on behalf of geographic education in policy discussions and grant-making to support geographic literacy initiatives throughout the United States and Canada. Anthony D. Feig, educational researcher and geologist. Dr. Feig is an Assistant Professor of Geoscience Education at Central Michigan University. His research interests are both theoretical and applied. In terms of theory, he is interested in exploring the foundations of qualitative inquiry, and also the teaching and learning of deep time & evolution. His applied research includes ethnographic study of field-based learning among advanced undergraduates, outcomes assessment in cyberlearning environments and Earth science teacher preparation. Fred Finley. Dr. Finley is an Associate Professor of Geology at the University of Minnesota. He is interested in studies of conceptual change in Earth Systems Science and in developing a conceptual framework that can be used to identify and describe the networks of concepts involved in Earth Systems Science. Ed Geary, geoscience educator. (more info) Dr. Geary is the Director of the GLOBE program at the University Corporation for Atmospheric Research (UCAR). The GLOBE Program is a hands-on, primary and secondary school-based science and education program uniting students, teachers, scientists and community members around the world in study and research about the dynamics of Earth's environment. Dr. Geary is interested in the use of field and web-based data and collaboration tools to promote student-scientist-teacher investigations at local to global scales. Janice Gobert, science education researcher. Dr. Gobert is the principal investigator in 'Making Thinking Visible', a large-scale design study involving middle and high school students who collaborated on-line about plate tectonic activity in widely separated geographic locations. Kyle Gray, geoscience education researcher. Dr. Gray is an Assistant Professor of Earth Science and Science Education at the University of Northern Iowa. 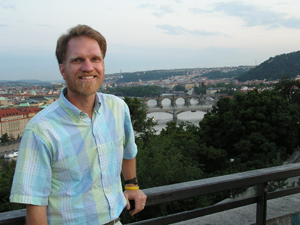 His research interests cover a broad area of geoscience education including student repsonses to conceptest questions (clicker questions), applications of cognitive psychology to geoscience education (geocognition), and preparing teachers (both preservice and inservice) to teach earth science topics. Michelle Hall-Wallace, geoscience educator and geophysicist. Assistant professor of geology at the University of Arizona, Dr. Hall-Wallace is also director of the SAGUARO Project (formerly SAGE). SAGUARO utilizes Geographic Information System (GIS) software to conduct investigations of earth and environmental systems. She is also engaged in learning assessment associated with the visualization modules built through SAGUARO. Toni Ivey, science educator. Dr. Ivey is an Assistant Professor of Science Education at Oklahoma State University. Her research focuses on two main areas: (1) the support of beginning science teachers and (2) the study of how non-earth science teachers incorporate the earth sciences into their science curriculum. She is also an advocate for increasing the amount of earth science that our K-20 students are exposed to. Loretta Jones, science educator and author. Dr. Jones' interests include the optimization of learning environments for chemistry, focusing primarily on active involvement of students in their own learning. She also studies the application of advanced technologies to the teaching of chemistry and visual representations of complex phenomena. She has written several widely-used chemistry textbooks. Kim Kastens, geoscience education researcher. Dr. Kastens' research in Earth & Environmental Science at Columbia University is focused on improving the public's understanding of Earth systems. Her work includes training journalists and teachers, utilizing information technology to change the way we learn, and investigating the processes by which we understand and communicate using maps (through the Where are We? project). 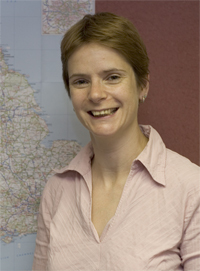 Dr. Helen King is the manager of the UK-wide Subject Centre for Geography, Earth and Environmental Sciences (part of the new Higher Education Academy). Before taking up this post in May 2000 she was the manager of an FDTL project on Earth Science Staff Development which involved running workshops, disseminating good practice and building up a national network of Earth Science educators. Her main role is in project management but she also has a particular interest in supporting staff CPD and developing student employability skills. Karen Kortz, geoscience educator and geoscience education researcher. Dr. Kortz is an Associate Professor of Geology at the Community College of Rhode Island. Her research includes studies on conceptual change of introductory college students when learning geology, including misconceptions in key geological subjects such as rock formation and plate tectonics, as well as understanding the underlying cognitive factors the cause the misconceptions. Her other broad interest is applying the results of research on conceptual change to develop, implement, and assess techniques that facilitate learning. Tamara Shapiro Ledley, geoscience education researcher. Dr. Ledley is a Senior Scientist at TERC. Her work has been focused on the facilitation of the use of Earth science data in educational contexts, improving climate literacy in formal and informal education, and the national digital library efforts. She is facilitating a broad spectrum of stakeholders to coordinate efforts to improve climate literacy for students and citizens; leading a project to review and steward a collection of educational resources around climate science, and is leading a project to develop curriculum materials that facilitate students understanding of change over time in the Earth system and a research program on their effectiveness. Julie C. Libarkin, geoscience education researcher. Dr. Libarkin is an Assistant Professor of Geoscience Education at Michigan State University. 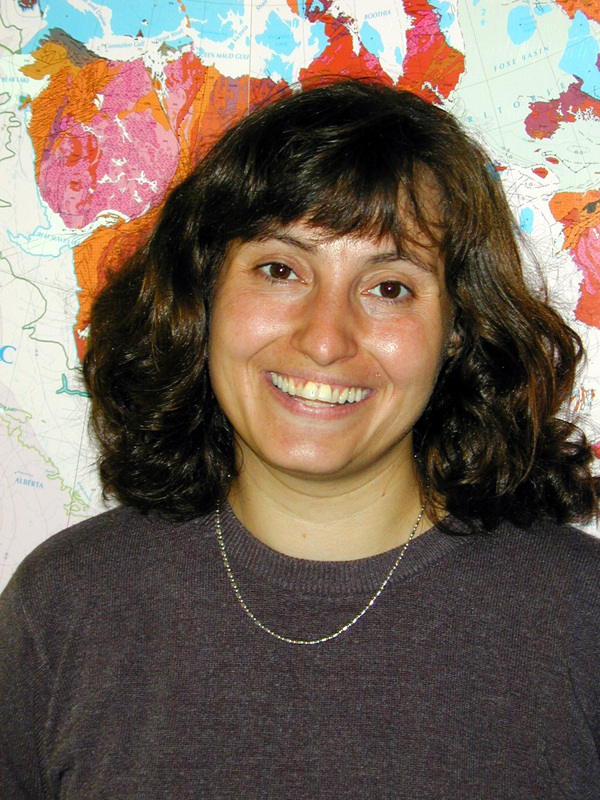 Her research and teaching interests include geocognition, tectonics, cosmogenic isotopes, and paleomagnetism. Marcia Linn, cognitive psychologist. 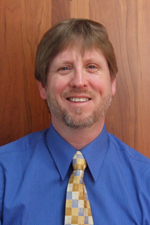 Dr. Linn specializes in education in mathematics, science, and technology. A fellow of the American Association for the Advancement of Science, she investigates science teaching and learning, gender equity, and design of learning environments. She is a Professor of Cognition and Development at UC Berkeley's Graduate School of Education. Scott Linneman, geomorphologist. 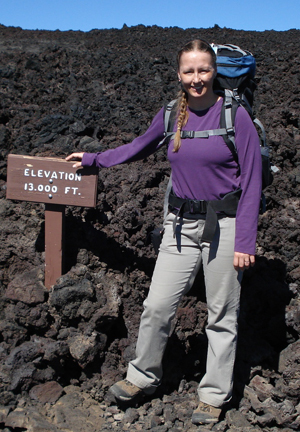 Dr. Linneman is an Associate Professor of Geology and Science Education at Western Washington University. He is interested in how students understand how landscapes change. His research group studies how the use of chronotopographic analysis, using terrestrial laser scanning and time-lapse photography, affects undergraduate learning about geologic rates. Cathy Manduca, geoscience education researcher. As Director of the Science Education Resource Center at Carleton College, Dr. Manduca is involved in a variety of projects that support improvements in geoscience and science education. Her work includes serving as a community leader, organizing workshops and other activities for faculty and educators of all types, and developing web-resources that link teaching resources, pedagogy and discussion. Much of her work contributes to programs of the National Association of Geoscience Teachers (NAGT) and the National Science Digital Library (NSDL). Floyd W. McCoy, geoscience educator and researcher. Dr. McCoy is a Professor in Geology and Oceanography at the University of Hawaii. 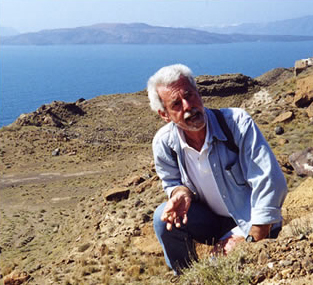 His work focuses on understanding cognitive response to earth and oceanic processes, especially volcanic islands and their surrounding nearshore zones; impacts to cultural evolution and histories, and how these impacts are preserved and deciphered in the geological and archaeological record - the latter leads to a new speciality in geological research and education: geoarchaeology. Karen McNeal, geoscience educator and researcher. Dr. McNeal is an Associate Professor of Geology at North Carolina State University. Her research explores questions concerning human understanding of complex earth systems where she is particularly interested in student's conceptual model development and the impact of using multiple representations and inquiry as the classroom pedagogy. In addition, she examines people's knowledge and perceptions of complex earth phenomenon, psychomotor (e.g., eye-tracking) responses to visual displays of these systems, the design of effective professional development activities for STEM teachers and graduate students, and the implementation and evaluation of various education and diversity programs. Dave Mogk, geoscience education researcher. (more info) Dr. Mogk has worked on several projects with the Science Education Resource Center (SERC) and Digital Library for Earth System Education (DLESE). His recent work has included teaching with visualizations; integrating geology with public health issues; and investigating challenges in creating a national library for undergraduate science education. Michael Piburn, geologist and science educator. Dr. Piburn is a Professor Emeritus at Arizona State University. Since his retirement, he has served as a Program Officer with the National Science Foundation and completed a Fulbright Specialists Program with Judy Dori and Yael Kali at The Technion in Haifa, Israel. He is currently completing, with Heather Pacheco and Kaatje van der Hoeven kraft, a commissioned paper on Geoscience Education Research for the Board on Science Education of the National Academies. When not working, he is skiing in Colorado or snorkeling on Kauai. Dr. E. F. (Joe) Redish is a theoretical nuclear physicist who has spent the past dozen years building a research effort in physics education bridging the physics department and the education college at the University of Maryland. Their research covers a wide range of topics, from how to help elementary school teachers recognize and encourage scientific enquiry to how to help upper division engineers make sense of quantum mechanics. Steve Reynolds, geoscience educator. 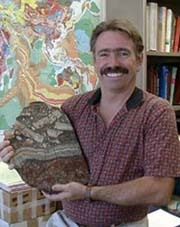 (more info) Dr. Reynolds is a geology professor at Arizona State University, and his personal interests displayed on his website include numerous color photographs, 3D perspectives, and information about the Geology of Arizona, Landscapes of the Southwest, structural geology, science-education reform, and using Bryce5 to illustrate geology. Steven Semken , geoscience education researcher. Dr. Semken is an Associate Professor of Geological Sciences and Geoscience Education at Arizona State University, in the School of Earth and Space Exploration. He is an ethnogeologist and geoscience education researcher who studies ways that place, culture, and affect influence teaching, learning, and inquiry in the Earth system sciences. He is an advocate of greater diversity in geoscience and has worked extensively in Native American and Mexican American communities in the Southwest USA. His current research activities include sense of place and place-based education, Indigenous ethnogeology, informal geoscience education in National Parks, strategic recruitment and preparation of Earth science teachers, and regional and environmental geology of the Southwest. William Slattery, geoscience education researcher. Dr. Slattery is an Associate Professor of Geological Sciences and Teacher Education at Wright State University in Dayton, Ohio. Jessica Smay, geoscience educator and geoscience education researcher. Dr. Smay is a Professor of Geology and Astronomy at San Jose City College. Her research focuses on identifying and explaining introductory geology student misconceptions and developing and assessing pedagogical tools (such as Lecture Tutorials) to reduce those misconceptions. Neil Stillings, cognitive scientist. Dr. Stillings is a Professor of cognitive science at Hampshire College, and a member of the graduate faculty at the University of Massachusetts, Amherst. His research interests include epistemological development, college science learning, scientific visualization, and cognitive science education. He is first author of Cognitive Science: An Introduction, 2nd edition, published by the MIT Press. Recently he has taught courses on cognitive science, cognition and education, cognition and culture, and music perception. Rob Thomas, geoscience educator. Dr. Thomas is a Professor of Geology at the University of Montana Western. The University of Montana Western is the first public university in U.S. history to adopt an immersion-learning model where students take one class at a time. Dr. Thomas uses this system to teach nearly all of his geoscience courses in the field. The students typically work on service-learning projects and build portfolios that show what they can do. Dr. Thomas has published on his teaching and assessment methods with his colleague, Dr. Sheila Roberts, and was honored by the Carnegie Foundation with the U.S. Professor of the Year Award for his role in bringing the "block" to UMW. David Uttal, cognitive psychologist. Dr. Uttal studies cognitive development, particularly the development of symbolic and spatial reasoning in toddlers and preschoolers, cultural differences in mathematics cognition and achievement. He is interested in how young children come to understand that one thing (i.e., a symbol) can stand for another. He is also interested in how young children remember the locations of objects in space. He has found that studying children's use of maps and symbol models can shed light on both issues. Jill Wertheim, science education researcher. Dr. Wertheim is a Research Associate at AAAS Project 2061. 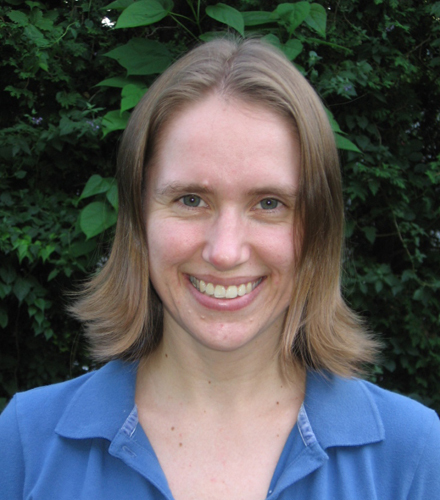 Her research focuses on students' mental models for essential concepts in earth science. Building off of national standards, she describes target coherent, scientifically accurate conceptual models and develop misconception-based assessments to identify where students' conceptual understanding is breaking down and to gain insight into their alternative understanding. Richard Yuretich, geoscience education researcher. Dr. Yuretich has multiple interests in lake sediments, clay minerals, environmental geochemistry, sedimentology, and education research. He is also involved in educational research in the teaching of undergraduate courses and improving the science preparation of prospective K12 teachers. These efforts have been carried out with the support of the National Science Foundation (STEMTEC, STEM Connections) and NASA (Planet Earth). For a listing of researchers who are interested specifically in researching educational use of visualizations, check this list from the 2004 workshop Teaching Geoscience with Visualizations.